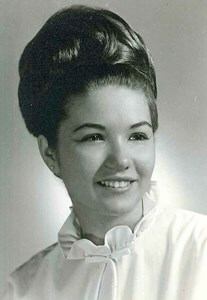 Newcomer Family Obituaries - Sally Jane Noe Fisher 1949 - 2019 - Newcomer Cremations, Funerals & Receptions. Sally Jane (Noe) Fisher, 69, passed away on Tuesday, January 8, 2019 in Columbus, OH. Sally was born on October 1, 1949 in Columbus to Richard Noe and Margaret (Geehring) Noe-Earnhart. Sally is preceded in death by her mother and brother, Michael Noe. She is survived by her sons, Zachary S. (Lisa) Fisher and Andrew D. (Nicole) Fisher; grandchildren, Haley (Zach) Wright, Alexandria, Lydia and Hannah Fisher, Jacob, Jessica, Layne and Rosalie Fisher; great-grandchildren, Elliana, Maddox and Jamison Wright; father, Richard Noe; brother Adam (Nancy) Noe, sister, Evelyn 'Todd' Flake; nieces, Bridgett, Tina and Sophie; nephew, Trent. Sally was a wonderful mother and grandmother. She was a woman of many talents: an artist, seamstress, costume maker, gardener, ballroom dancer, black belt in Kung Fu. Sally was very active in her community and helped to make many improvements in her lifelong neighborhood of Linden. Family will receive friends on Monday, January 14, 2019 from 5:30 pm to 7:30 pm at Newcomer NE Chapel, 3047 E. Dublin-Granville Rd., Columbus, OH 43231 where a memorial service will follow at 7:30 pm. In lieu of flowers, donations may be made in Sally's honor to The OSU James Cancer Hospital or Kobacker House. Envelopes will be available at the funeral home. Add your memories to the guest book of Sally Fisher.